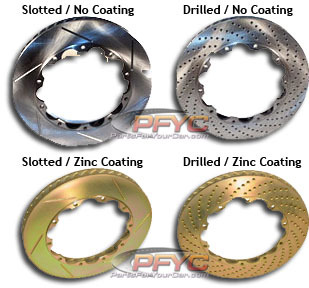 Big Brake Kits give your vehicle that Supercar look and feel, and exceed stock performance thanks to larger rotors which increase heat capacity and stiffer calipers and stainless steel lines that reduce system compliance. Most 17' wheels will clear the outer diameter of the caliper for a 332mm kit. For a 355mm kit, a minimum 18' wheel is typically required. The more critical clearance, however, is the gap between the spokes of the wheel and the face of the caliper. Do not assume that a larger-diameter wheel will automatically clear the face of the caliper. StopTech recommends at least 2mm of additional clearance. See the Wheel Fitment Drawing page on the StopTech website for more specific measurements, at www.stoptech.com. Note: Final fitment of the wheel to the caliper is the responsibility of the customer.